The candidate pre-survey results are in. 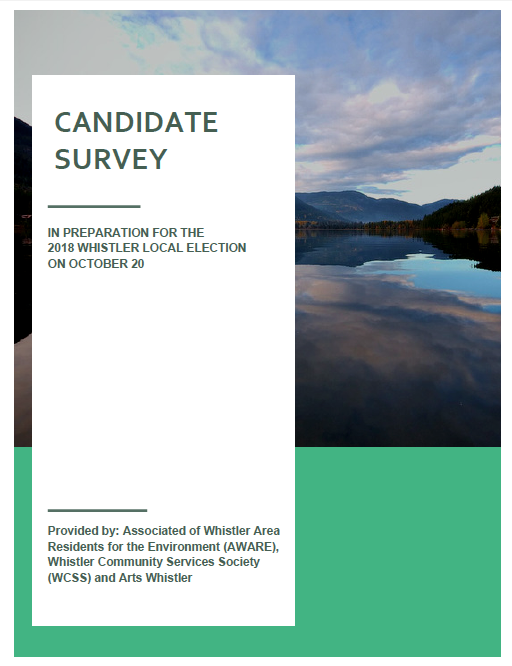 Plus, get key info for the 2018 Whistler General Local Government Election. 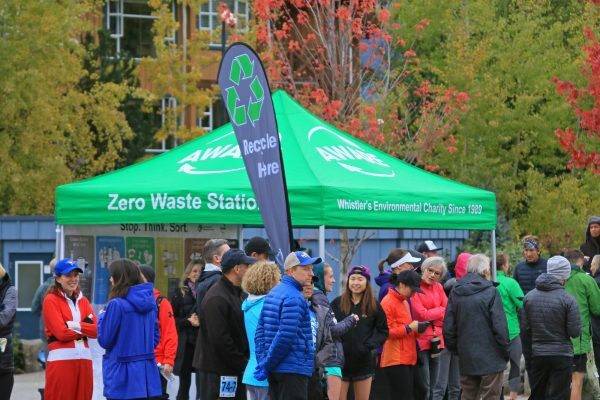 The Association of Whistler Area Residents for the Environment (AWARE), Arts Whistler and Whistler Community Services Society (WCSS) have partnered to host an All Candidates meeting on September 26 at Maury Young Arts Centre at 6:00 p.m. (doors at 5:30 p.m.). Read the candidate pre-survey results below. In preparation of a ‘Building Sustainable Community’ All Candidates Meeting on Sept 26, a survey was issued to candidates. It’s a great way to get acquainted with the issues and topics of interest from the hosts of the meeting. If you need complimentary childcare at the event, register online by September 24. The link can be found on the event page. Mark your calendars with the key dates below which include other All Candidates Meetings and voting dates. 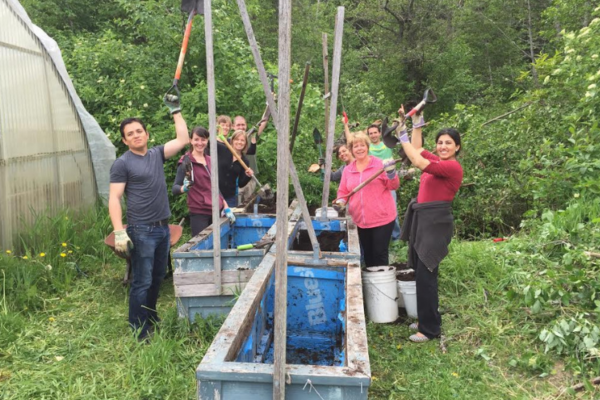 The purpose of this survey is to maximize the opportunities for all candidates to share their opinions on a range of issues that impact the future sustainability of our community. 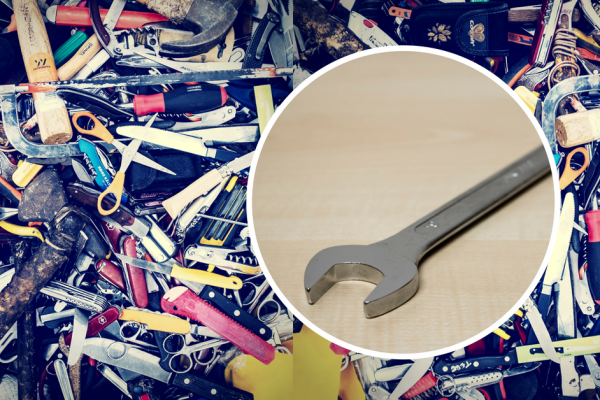 As questions in an All Candidates Meeting can only be directed at a few candidates at a time, this is an opportunity to share candidate’s views. Opening Questions // Q1-8 // Topics include: Candidate priorities, growth, visitation, reconciliation, achieving a shared vision, tracking community performance, and the Official Community Plan. Courtesy of Arts Whistler // Q9-14 // Topics include: RMI funding, the Temporary Use Permit fee, fostering the local culture and heritage sector, general funding. Courtesy of AWARE // Q15-17 // Topics include: Climate Change, backcountry recreation planning, old growth forest, habitat protection, wildfires. Courtesy of WCSS // Q18-22 // Topics include: Housing crisis, Whistler’s homeless population, Sexual Assault Forensic Examinations, rent increases, affordability. Closing Questions // Q23-24 // Topics include: Your “most memorable legacy’, any additional comments. For candidate nomination papers and complete and up-to-date election information, please visit the Resort Municipality of Whistler website.